Initially I had some reservations about signing up for Personal Training sessions as I was embarrassed about people seeing how useless and unfit I was in the gym! I quickly overcame these reservations when I signed up to 365Motivate as my Personal Trainer Lucy was patient and reassured me until I was confident with new exercises; she also listened to my feedback so that we always worked to my fitness level. I started off with the aim of loosing body fat and feeling more confident and energetic but have achieved so much more that that. 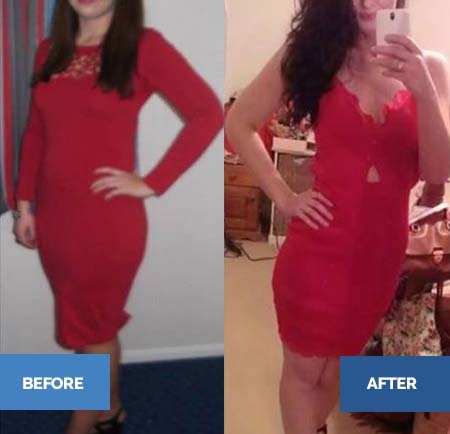 I have dropped a dress size, lost 10% body fat and gained 1kg in muscle which has made me feel great and so much more confident, but I have also learnt what exercises to do, what foods work for my body and techniques to help reduce stress. I have also massively improved my running technique and endurance; I used to say I couldn’t run and now I run as part of a warm up before I start my workout! Lucy is an excellent personal trainer, she is dedicated, patient and versatile. I have taken a lot more from personal training sessions that I ever thought I would, its not been about losing weight but about general well being; through the holistic approach Lucy takes to training I have learnt many things that will help me now through out my life with regards to my health.